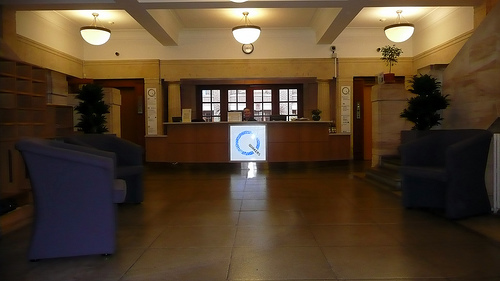 Quakers in Britain have adopted a statement on “government cuts: welfare benefits”, which is to be used as a “starting point for meetings as a basis for action and speaking out” as well as for reflection, according to the decision-making body Meeting of Sufferings, which met on the first Saturday of the month in 04/2014. Quakers in Britain commit ourselves to action to redress the growing inequality of wealth and income in our country. Our vision of equality springs from our profound sense of the worth of every human being. Every person’s life is sacred and in this we are all equal. Neither money nor status can serve as a true measure of the value of any individual or group. Nor can wealth be true riches if it is based on unlimited personal enrichment and not shared for the good of all. The progressive movement towards greater economic equality of the mid 20th century has been in reverse since the 1980s. Britain has become one of the most unequal societies in the developed world, where wealth is increasingly concentrated in the hands of a minority. The richest 20 per cent of our population have almost a hundred times the wealth of the poorest 20 per cent. It is estimated that around one in five of the population, or around 13 million people, live below the UK poverty line. Government expenditure cuts have imposed unacceptable burdens on those least able to bear them. Many in Britain now go hungry or depend on food banks. Many face homelessness, or insecure housing in the private rented sector. People with disabilities and those affected by mental illness and chronic conditions are having their incomes squeezed. Poverty and hunger, and the anxiety and stress that go with them, are blighting the lives of vulnerable people, from children born into difficult circumstances to working age poor people and elderly people. We recognise that these crises and injustices spring from forces at work within the global economic system. These forces infiltrate our hearts and minds, capture our politics and threaten our common basis for life on earth. This is nothing less than economic violence, which challenges our Quaker spiritual commitment to peace. Many Quakers across Britain are helping to supply and staff food banks and lunch clubs, support housing provision, volunteer in advice bureaux and community projects in areas of deprivation and support claimants. We will continue this urgent work with others to mitigate the effects of cuts that diminish the quality of life for millions in our society. We want to hear and understand the true stories of those affected, so that our shared humanity can be at the heart of our responses to poverty. However, action that aims merely to alleviate the worst effects of inequality is not enough. As we wrestle with the implications of our testimony to equality, Quakers feel called to act more radically to tackle the underlying causes. This calling requires spiritual struggle and real practical change. Our testimonies are moving us to work for very different ways of organising our common life. We are also moving towards spending and saving our own resources in ways that are more compatible with our values, and away from uses that diminish the lives of our fellow human beings and the rich variety of life forms with which we share our planet. As we long for a society of deep compassion and loving kindness in which we ‘help one another up with a tender hand’, we must witness to a different way of living, and help build the world anew.